Priyanka Chopra & Freida Pinto in Ferragamo. Priyanka Chopra has been very successful in that dress Ferragamo signed.Bollywood actress chose this look at the recent Filmfare Awards. And seeing his picture, I had a déjà vu, so I investigated and indeed the sense of déjà vu is justified since Freida Pinto wore the same dress when prmière film 'Black Gold', in Film Festival Doha. The two colors are gorgeous, the two actresses are gorgeous but if I had to choose and select a dress for me, I will take that of Priyanka. People magazine unveiled its third edition of ‘India’s Best Dressed’ at a lavish event attended by the who’s who of the industry. There was even a fashion show by Bollywood’s ace designer Manish Malhotra, and guess who strutted her stuff in sartorial elegance for MM, no one else than India’s Best Dressed actress, Priyanka Chopra. Priyanka Chopra also graces the mag cover as she has won the title of India’s Best Dressed by the People magazine. Her on-ramp look was traditionally glamorous. 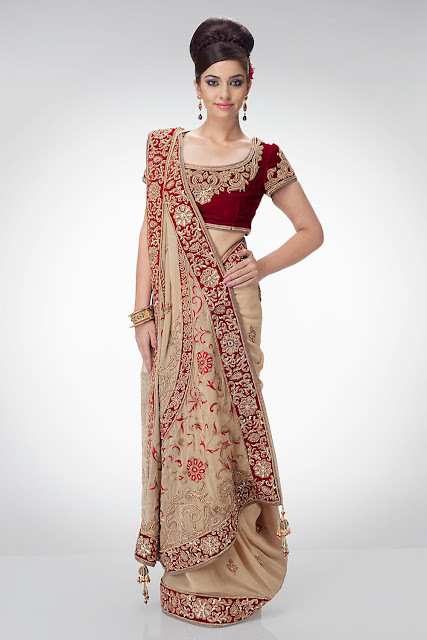 Manish Malhotra, who loves to use velvet in his creations, again designed a heavy velvet ghagra-choli with intricate sequins and thread work. Everyone was bedazzled by Priyanka’s velvety eloquence on the ramp, and she is looking slender too. Her willowy frame added pizzazz to her whole appearance. Bollywood actress Priyanka Chopra, known for her simple yet stylish wardrobe, has been given the title of India's Best Dressed by People magazine. Annually, the magazine honours style icons with the Best Dressed edition. This year, Priyanka has featured on the cover of its India edition. About being chosen as the face of People's special issue of India's Best Dressed for 2011, Priyanka said: "I'm excited because I never thought I would get this title." Talking of the one style accessory she has at all times, she said: "I wear confidence." The former Miss World walked the ramp for Manish Malhotra at the Mercedes-Benz Best Dressed Show 2011 in Mumbai on Saturday evening, in a celebration of the special issue of the magazine. "The Best Dressed show marks the coming together of the entertainment industry's most stylish people on one platform. 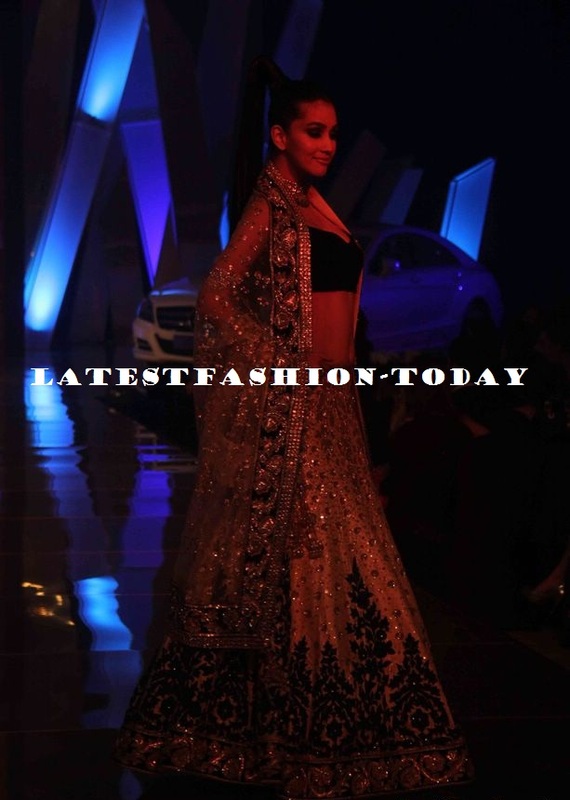 My collection for the evening is my signature style of opulent glamorous Indian wear," Malhotra said in a statement. Bollywood’s Badshah of glitz and glamour, Manish Malhotra closed the fourth day with a beautiful bridal line at Lakmé Fashion Week Winter/Festive 2010. With Preity Zinta, Rani Mukherjee, Priyanka Chopra and other celebrities in the audience, Manish delivered a vibrant bridal collection in shades of blue, red and black peppered with heavy embroidery, zari, crystals, sequins and brocade. 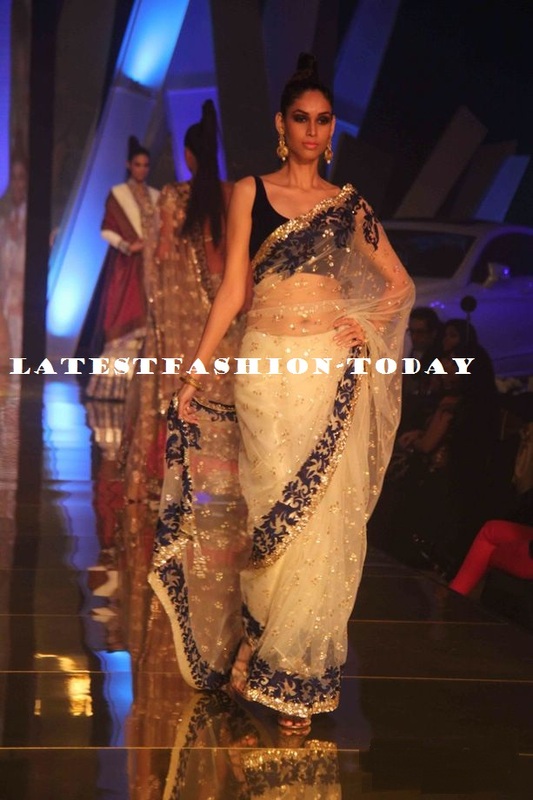 We are so lusting after the deep blue wispy ghagara with gold choli and red dupatta. And the high-necked olive anarkali with glittery detail looks so regal!